MIT and BU researchers designed new transcription factors that can bind to DNA and turn on specific genes. For about a dozen years, synthetic biologists have been working on ways to design genetic circuits to perform novel functions such as manufacturing new drugs, producing fuel or even programming the suicide of cancer cells. Achieving these complex functions requires controlling many genetic and cellular components, including not only genes but also the regulatory proteins that turn them on and off. In a living cell, proteins called transcription factors often regulate that process. So far, most researchers have designed their synthetic circuits using transcription factors found in bacteria. However, these don’t always translate well to nonbacterial cells and can be a challenge to scale, making it harder to create complex circuits, says Timothy Lu, assistant professor of electrical engineering and computer science and a member of MIT’s Research Laboratory of Electronics. Lu and his colleagues at Boston University (BU), Harvard Medical School and Massachusetts General Hospital (MGH) have now come up with a new method to design transcription factors for nonbacterial cells (in this case, yeast cells). Their initial library of 19 new transcription factors should help overcome the existing bottleneck that has limited synthetic biology applications, Lu says. The project is part of a larger, ongoing effort to develop genetic “parts” that can be assembled into circuits to achieve specific functions. Through this endeavor, Lu and his colleagues hope to make it easier to develop circuits that do exactly what a researcher wants. “If you look at a parts registry, a lot of these parts come from a hodgepodge of different organisms. You put them together into your organism of choice and hope that it works,” says Lu, corresponding author of a paper describing the new transcription factor design technique in the Aug. 3 issue of the journal Cell. Lead authors of the paper include Ahmad Khalil, assistant professor of biomedical engineering at BU, Lu, and BU postdoc Caleb Bashor. Other authors are Harvard grad student Cherie Ramirez; BU research assistant Nora Pyenson; Keith Joung, associate chief of pathology for research at MGH; and James Collins, BU professor of biomedical engineering. Recent advances in designing proteins that bind to DNA gave the researchers the boost they needed to start building a new library of transcription factors. Transcription factors include a section that recognizes and latches on to a specific DNA sequence called a promoter. The protein then recruits an enzyme called RNA polymerase, which starts copying the gene into messenger RNA, the molecule that carries genetic instructions to the rest of the cell. 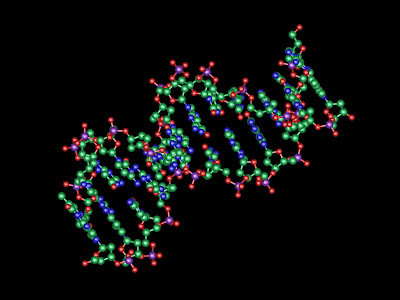 In many transcription factors, the DNA-binding section consists of proteins known as zinc fingers, which target different DNA sequences depending on their structure. The researchers based their new zinc fingers designs on the structure of a naturally occurring zinc finger protein. “By modifying specific amino acids within that zinc finger, you can get them to bind with new target sequences,” Lu says. The researchers attached the new zinc fingers to existing activator segments, allowing them to create many combinations of varying strength and specificity. They also designed transcription factors that work together, so that a gene can only be turned on if the factors bind each other. Such transcription factors should make it easier for synthetic biologists to design circuits to perform tasks such as sensing a cell’s environmental conditions. Synthetic biology circuits can be analog or digital, just like electrical circuits. Digital circuits include logic functions such as AND and OR gates, which allow cells to make unequivocal decisions such as whether to undergo programmed cell suicide. Analog functions are useful for sensors that take continuous measurements of a specific molecule in the cell or its environment. By combining those circuits, researchers can create more complex systems in which a digital decision is triggered once the sensor reaches a certain threshold. The research was funded by the Howard Hughes Medical Institute, National Institutes of Health, the Office of Naval Research, the Defense Advanced Research Projects Agency and the National Science Foundation.